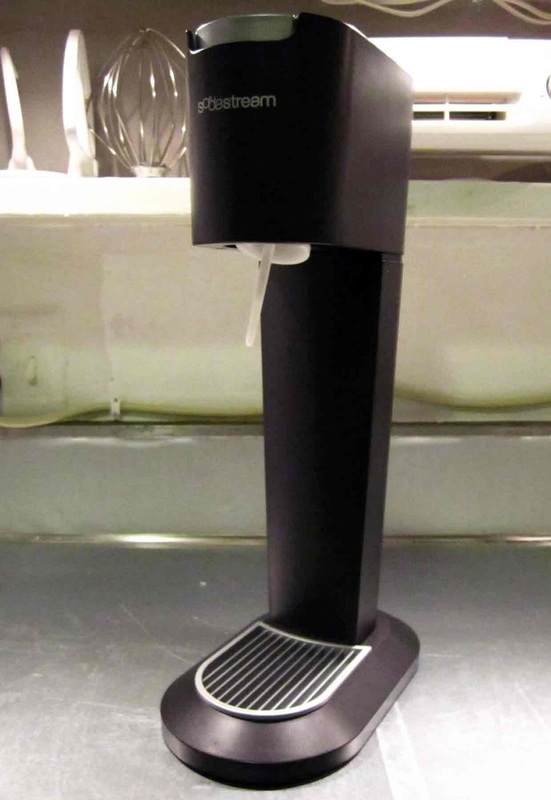 I just received my first kitchen gift of the holiday season from the owners of the restaurant I manage; a Sodastream soda maker! I had, actually, looked at these a few weeks ago as a gift for a friend who’s soda habit has hit 6-8 cans a day. But then I realized that his thirst for coca-cola itself could never be matched by facsimiles…. Receiving one myself, I have to admit… I was kind of ridiculously excited. The kit came with the carbonator, plus a box of syrups, 4 liter bottles, and 3 CO2 cartridges. 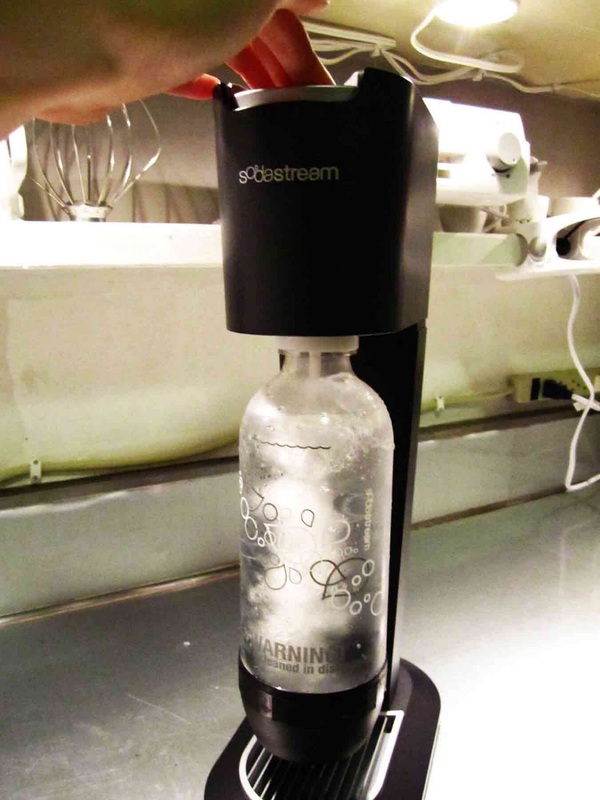 You just fill the bottles with regular water (I used the Brita), screw the bottle into the Sodastream, and Fizz! Then add syrups or other flavorings to create your own fresh sodas. A quick perusal of the Sodastream website lets you know that many consumers choose the sodastream for ecological and health reasons. Their proprietary syrups are uncannily close to the flavor of “real” root beer, Cola, Dr. Pepper, etc., but they all contain Splenda (even the non-diet ones), and I am a firm believer of eating Real Food, until a doctor advises me otherwise. So I was more excited at the prospect of creating signature sodas. 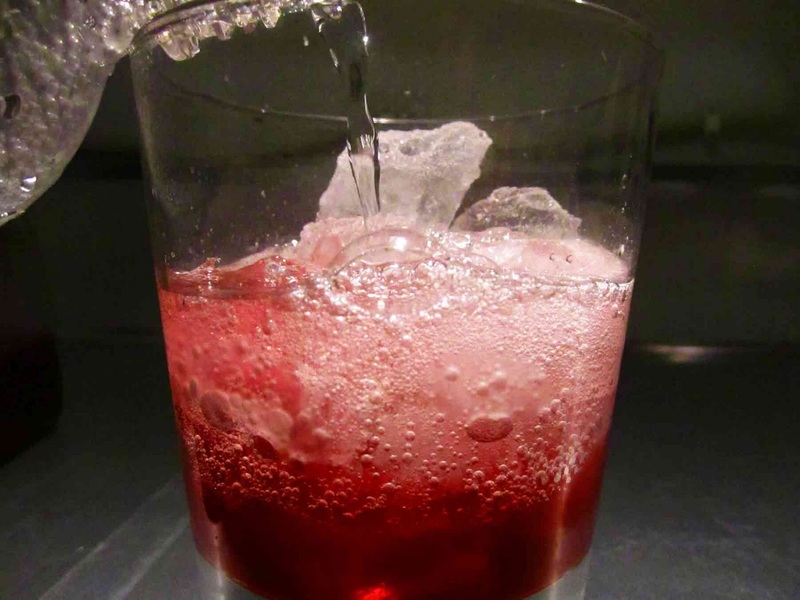 I already had a batch of fresh grenadine from a cocktail experiment a few days ago, so I just added my syrup to a batch of fizzed water. It was fresh, clean tasting, and the best thing was that I knew every ingredient it contained. Just water, pomegranate, hibiscus, and little sugar. So, the next logical step is to create something… signature. Something like Chamomile Ginger-Ale. I just made a simple syrup of fresh ginger, orange zest, whole all spice, anise seed, cinnamon sticks, and chamomile flowers. 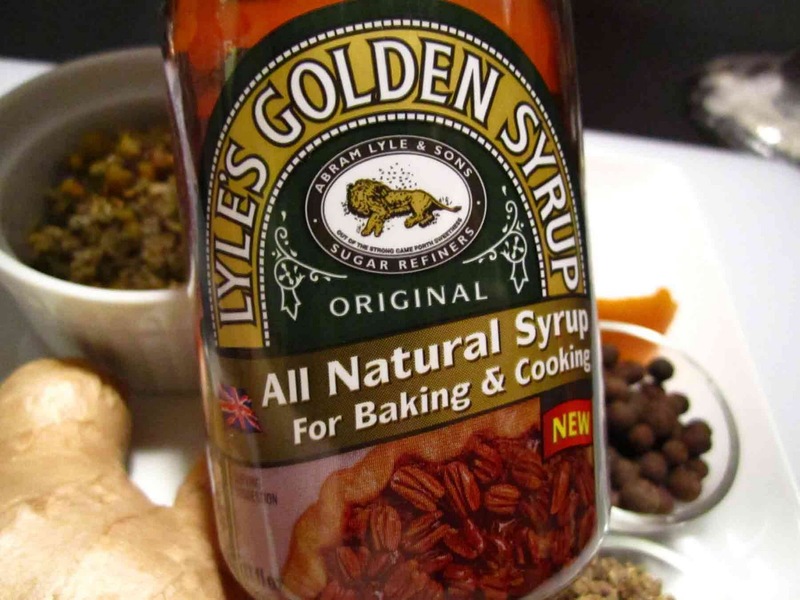 And the secret ingredient, Lyle’s Golden Syrup, which is a British sugar cane syrup; all the viscosity of corn syrup, but made from pure sugar cane, and endorsed by the Queen of England! 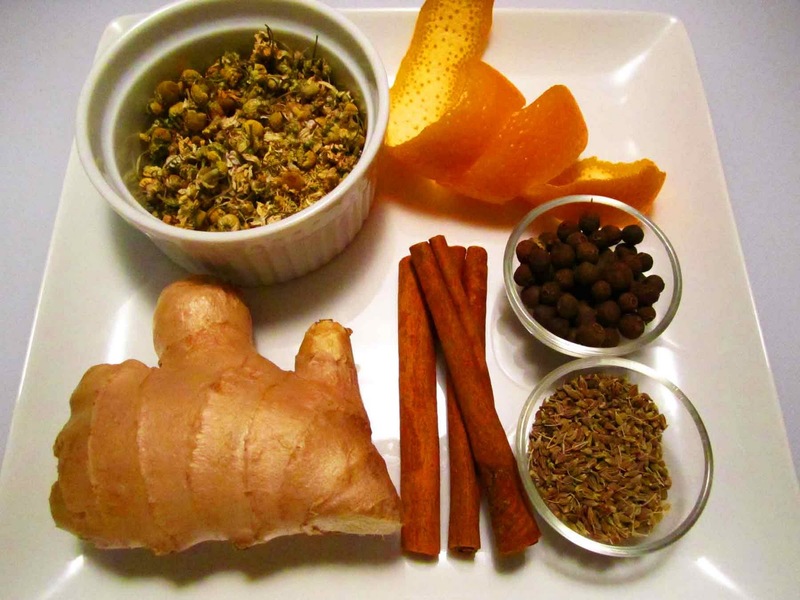 Combine orange zest, spices, and ginger and sugar in a pot and allow to macerate for a few minutes before adding the water. Place over medium high heat until the mix comes to a boil. after it comes to a boil, remove from heat, then let steep for 30 minutes. Strain through a fine mesh sieve and chill. 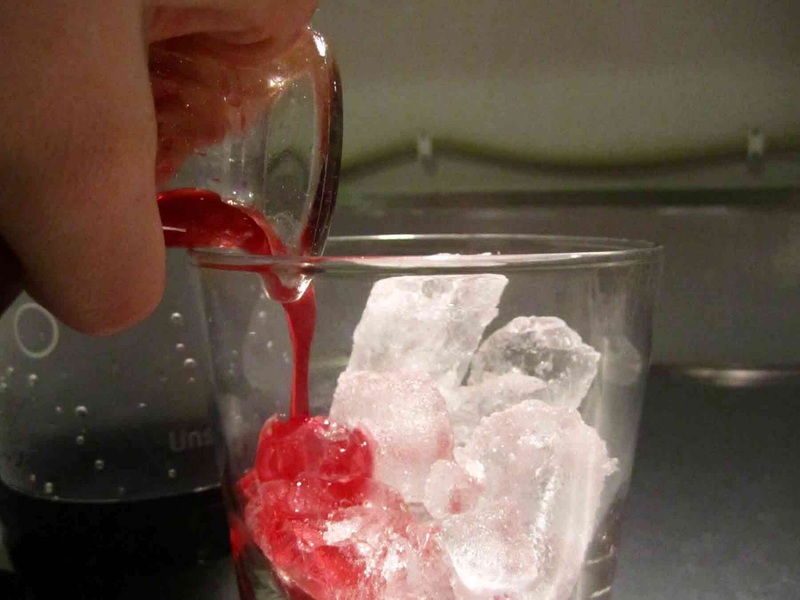 Pour two tablespoons of the syrup over ice in a glass, then top with soda water. 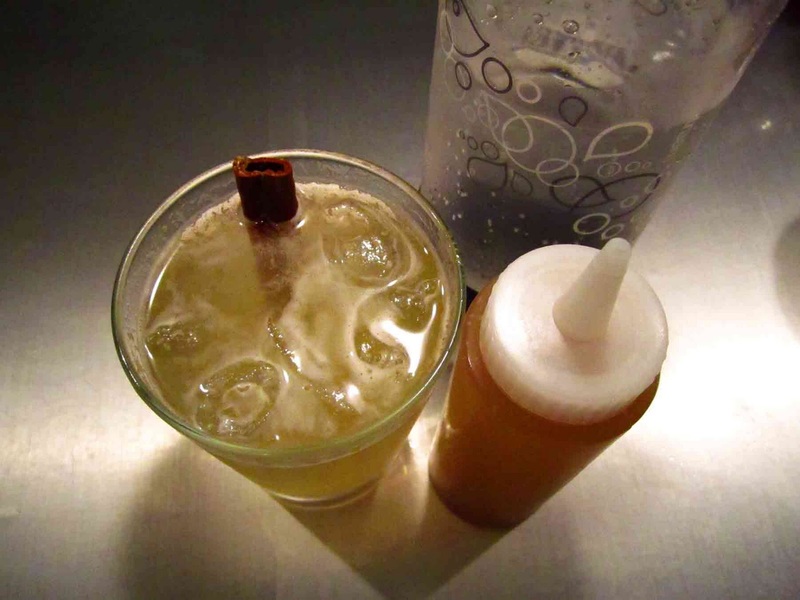 Garnish with a cinnamon stick (if you want to be fancy).